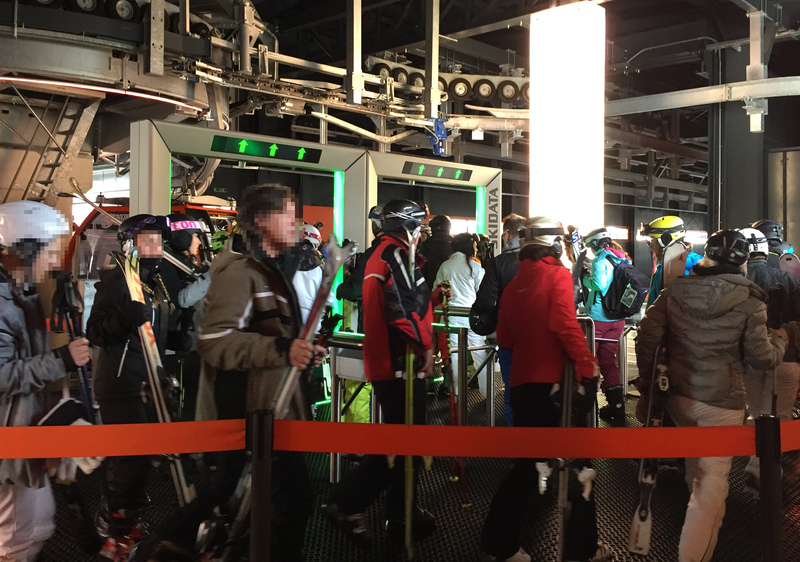 A novel boarding solution for cabin-based transport systems — e.g., ski lifts, cable cars, subways — is being discussed in industry and has already been implemented in the Austrian skiing resort Bad Gastein: In order to avoid long queues at succeeding boarding stations, a display in the boarding area tells the guests how many of them are allowed to enter the next cabin. This form of access control guarantees spare seats for passengers waiting at the middle station to go to the top station. The overall objective is to install fair access conditions at all stations which would automatically improve waiting time and comfort of passengers. We expect some system intelligence to compute the number of passengers to enter at each station and adapt this number in real time according to the varying passenger load. Compared to extensions or modifications of tracks, cabins, or cabin vehicles, access control would be an inexpensive solution to optimize systems. Researchers at the University of Klagenfurt and Lakeside Labs are currently assessing as to whether such access control can actually improve the service. Doctoral candidate Pasquale Grippa explains: “We derived expressions characterizing the stochastic properties of passenger queue length, waiting time, and cabin capacity using queuing theory. This was so far done for a transport line with deterministic arrivals of cabins and Poisson arrivals of passengers.” The key insight is interesting: A significant reduction of the waiting time at a given station is only possible at the cost of worsening the stability of one of the preceding stations. “Our industrial partner SKIDATA will now implement our algorithm and carry out experimental studies with real passengers,” Grippa’s advisor, professor Christian Bettstetter, adds. The project is an interdisciplinary collaboration of Lakeside Labs GmbH, Bettstetter’s mobile systems group, and the production and logistics group led by professor Gerald Reiner, together with SKIDATA AG. It is partly funded by the regional funding agency KWF. P. Grippa, U. Schilcher, C. Bettstetter. IEEE Transactions on Intelligent Transportation Systems. P. Grippa, E. Yanmaz, P. Ladinig, C. Bettstetter. This post is based on the abstract and introduction of the mentioned publication written by all three authors. The photo has been provided with kind permission by Jorge Clemente (SKIDATA).